The Lazada Online Revolution is back this year on 11.11 and 12.12! Kicking off the month-long sale on 11 November (11.11) and ending with another mega sale on 12 December (12.12), Lazada is offering up to 90% off its products, more than a hundred daily flash deals, and $29 Surprise Boxes (worth at least $100). 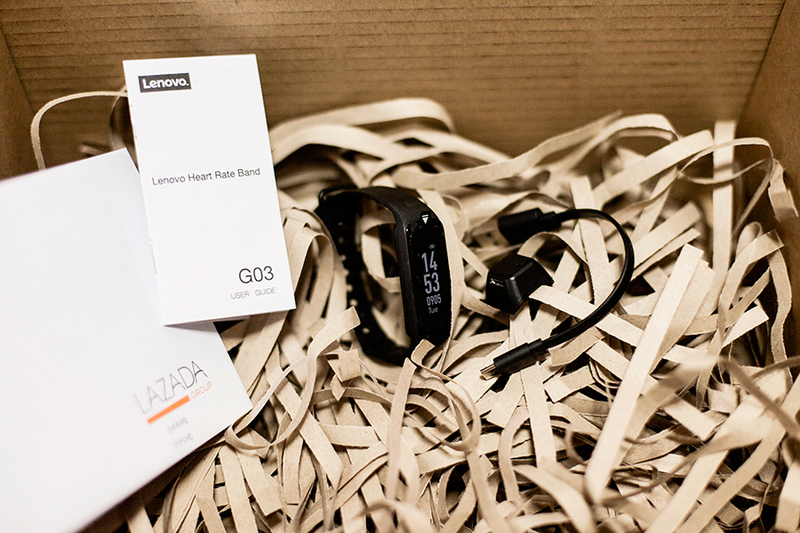 The Lenovo Heart Rate Band G03 ($98) was the only item in my Surprise Box, and it came as a very pleasant surprise! No wonder my box was so light. I’m not usually a fan of watches, since I’m a recovering germophobe and they get in the way of washing my hands… but wearables are intriguing, so I decided to bring this on a test drive for a week and change to see how I’d like it. Surprisingly, I got a lot more use out of my Heart Rate Band than I expected after about 11 days of virtually non-stop wearing; I even wore it in the shower because it’s waterproof! Not so sure about it being soap-proof, but we’ll find out soon enough. I no longer miss a phone call because it’s synced to my phone via bluetooth and the band vibrates whenever I receive a call or message, or a notification from certain apps I set on the Lenovogo app. Very cool considering that I opted out of my telecom company’s $5 monthly surcharge for caller ID and no longer see phone numbers to call back should I miss a call. Left: Here’s my sleep tracker for the past week. I’m very amused by how the chart cuts off on the Thursday that I got myself a good 11 hours of sleep. Right: Here’s a screenshot of my daily sleep tracker. 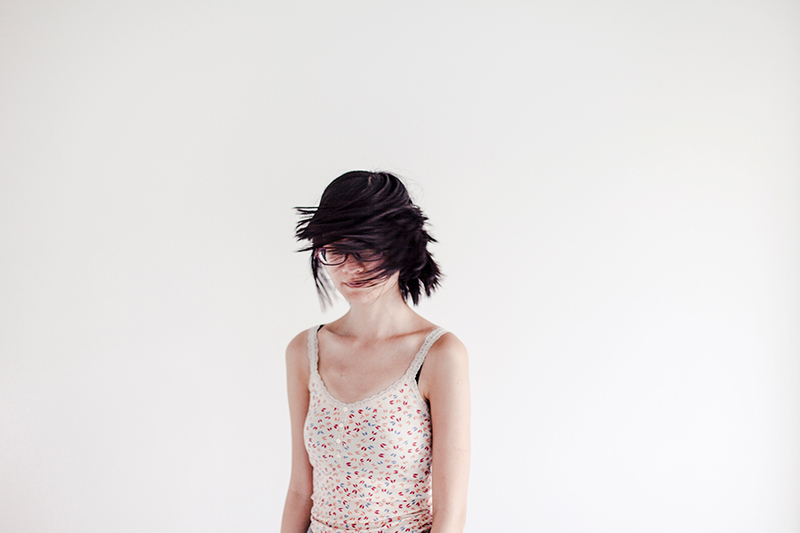 The band even tracks deep and light sleep! 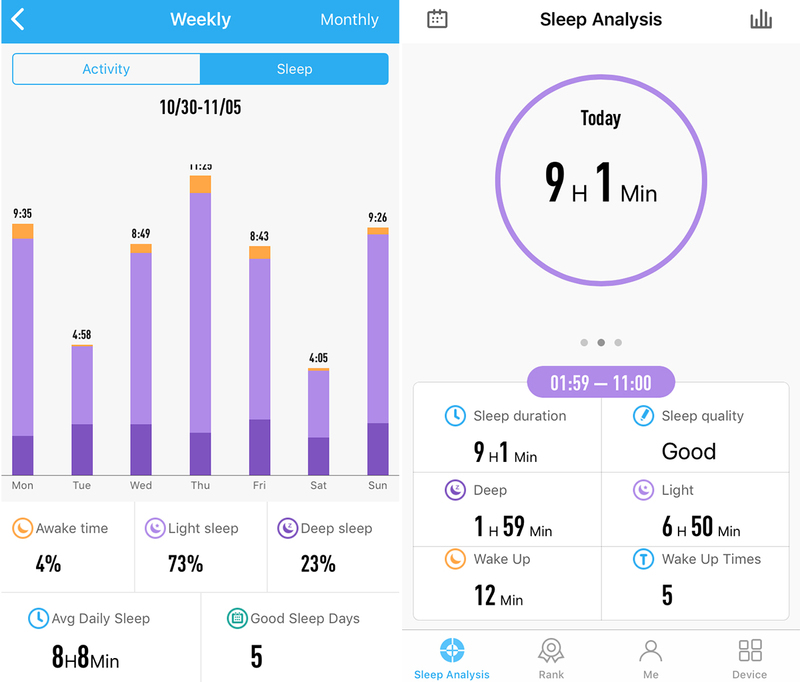 I was initially leery of how the band would determine when I’m sleeping, but it was actually so accurate that I had to find out how wearables track sleep; apparently one’s heartbeat is also a factor in this estimation. I did manage to fool the band once by lying in bed and spending an hour browsing on my phone – apparently I was so at peace that the band indicated that I’d slept for 1 hour and added it to my total sleep time for the night. 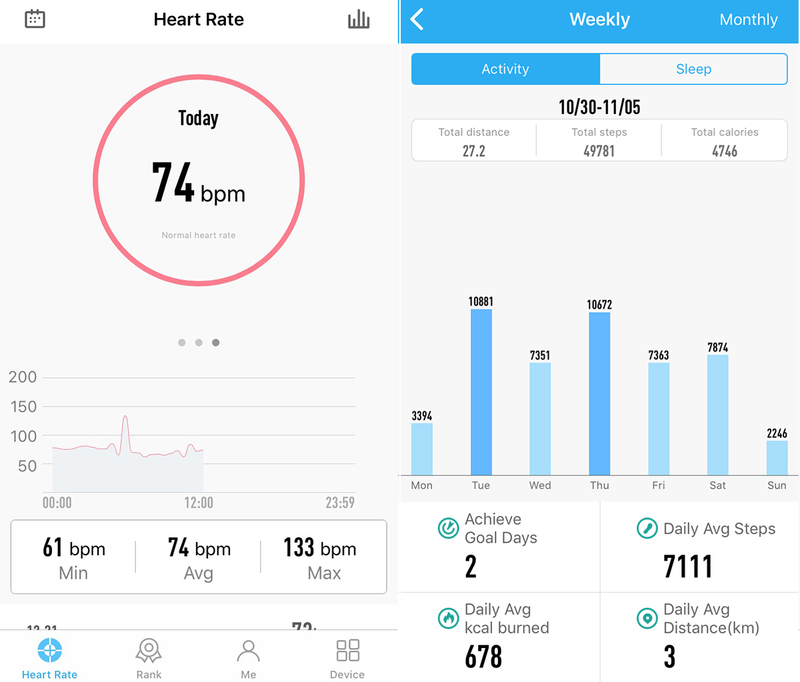 Left: The band automatically tracks the resting heartbeats per minute, although it really only extrapolates from about 15 seconds of data. Tapping the device also enables you to manually measure it. Right: I’m a lazy bum and don’t walk enough. So I scored 124 bpm after a total of 23 jumping shots. Anyway, thank you Lazada for the Surprise Box! I’m going to need a couple of stuff to populate my new house with, so this comes at the perfect time. Perhaps I’ll even camp out for some of the Surprise Boxes this Saturday! If you’re new to Lazada, they’ve got a special voucher code for the first 100 new customers from 11 November – 14 December! Key in the code: LAZOR2017NEW for 18% off, capped at $11.